Everything about Amazon’s Prime Now service seems to suggest speed — the deliveries it provides, its quick-to-market launch and the work pace of its high-energy leader. 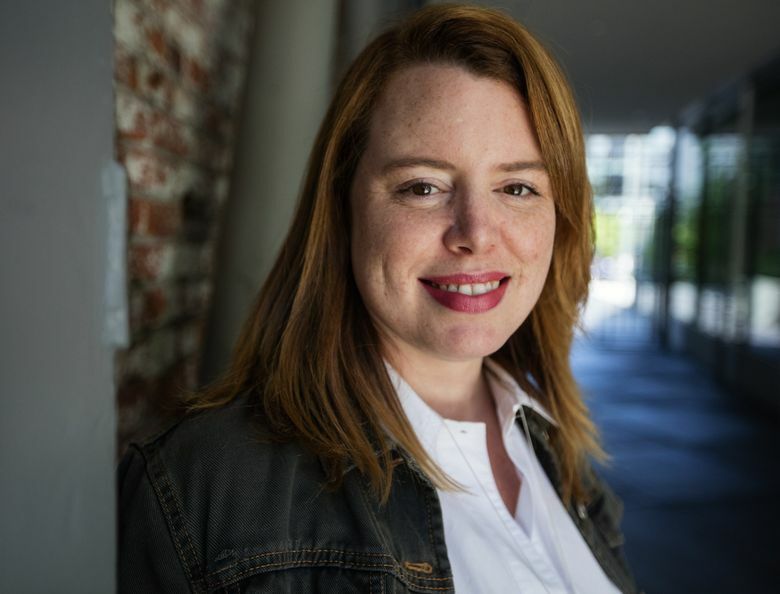 In spearheading the launch of the superfast Prime Now delivery service, Amazon.com executive Stephenie Landry knew the challenge would be steep. It was unclear whether customers really wanted a service that delivered their Amazon purchases within one or two hours; no focus groups were held to determine that. But Landry, a rising star at Amazon who has participated in a series of high-profile projects at the company, including the creation of AmazonFresh grocery deliveries in Seattle nearly a decade ago, was confident they would. In the mock news release that’s part of every Amazon pitch, the 38-year old native of New York jokingly called the service “Amazon Magic,” a reference to products appearing on the consumer’s doorstep so quickly that it could be deemed an act of wizardry. It was an idea that jibed with what is perhaps the glue that holds together Amazon’s increasingly diverse array of businesses, from cloud computing to diaper deliveries: making things convenient for customers. “The idea of making deliveries faster is in the DNA of the company,” Landry said in a recent interview. Prime Now got its initial green light in August 2014. There was little time to lose. For members of the $99-a-year Amazon Prime subscription service, Prime Now delivers a whittled-down selection of products, as well as restaurant meals and bags of goods from selected grocers. Two-hour deliveries have no added charge; if you’re really in a rush, you can pay $7.99 to get that USB cable in an hour or less. Now offered in 30 cities in five countries, Prime Now is a key test of Amazon’s ability to provide shoppers instant gratification, perhaps the last refuge of brick-and-mortar retailers. It also shows the tech giant’s knack for tinkering with its model, something CEO Jeff Bezos extolled last month in a letter to shareholders. “To invent you have to experiment, and if you know in advance that it’s going to work, it’s not an experiment,” Bezos wrote. Landry, whose title is vice president of Amazon Prime Now, first came to work at Amazon as an intern in 2003, when she was in business school at the University of Michigan. She remembers a cabdriver who picked her up at the airport in Seattle asking her whether “that Internet thing” had taken off yet. It did, and so did Landry’s career. After joining Amazon for good in 2004 she held a series of jobs of increasing responsibility, helping launch the AmazonFresh grocery-delivery service and the Prime Pantry household-essentials business, as well as leading the online stores’ baby and mom categories. In 2013 Landry became a technical adviser to Jeff Wilke, one of Amazon’s most powerful executives. That role — similar to the technical-adviser shadows that Bezos, the CEO, has had over the years, many of whom go on to take prominent positions — gave Landry an “incredible perch to view the company,” she said. Landry’s commanding job in the tough frontier of e-commerce comes at a time when there’s plenty of concern about how the tech industry, one of the few shining beacons amid tepid economic growth, is disproportionately staffed by men. Amazon says it reviewed its compensation in 2015 and found no bias in salaries, with women earning 99.9 cents for every dollar that men earned in the same jobs. But like other tech companies, Amazon has an employee roster that reflects an imbalance: 61 percent of employees and three-quarters of managers are men. Apple, another company that has both a tech and a retail component, has a similar mix. Globally 31 percent of employees are female, including 28 percent among leadership roles. Landry says the gender gap is the result of deep-seated structural issues that Amazon and her colleagues are working to correct, in order to foster a pipeline of female talent. Amazon every summer hosts an immersion program for “Girls Who Code,” which teaches high-school girls programming basics. She adds that the way things are done at Amazon — where ideas at meetings are first presented in a written document — helps stem potential bias. “It’s a very powerful way” to show your ideas “in a nonpolitical way,” she said. Many of the technical and operational project managers in the crack team that launched Prime Now happened to be women, she said. In an environment that has a reputation for being tough, Landry, who said she prefers focusing on the problem-solving aspect rather than the moneymaking side of an operation, has made a mark. “Stephenie Landry is the force responsible for the instantaneousness of your gratification,” the magazine said. It took 111 days to launch Prime Now. “In that time, a small team built a customer-facing app, secured a location for an urban warehouse, determined which 25,000 items to sell, got those items stocked, recruited and on-boarded new staff, tested, iterated, designed new software for internal use — both a warehouse-management system and a driver-facing app — and launched in time for the holidays,” Bezos wrote in his latest annual shareholder letter. Even construction was fast. The first “hub,” as Prime Now warehouses are called, is across the street from the Empire State Building, at the site of Amazon’s Manhattan offices. It was ordered, Landry said at the conference, at 8:51 a.m. Dec. 18. By 9 a.m. it was packed. Since the delivery window selected by the shopper was between 10 a.m. and 11 a.m., Amazon waited and delivered the item at 10:01 a.m.
At the time, trade publication Adweek ran a story about how Amazon promised to deliver “condoms, horse heads, handcuffs” and other quirky things within an hour. So far Prime Now has delivered 300,000 condoms, more than 200 horse head masks and “dozens, I mean, dozens of handcuffs,” Landry said. The super-quick nature of Prime Now’s business makes it operate differently from other fulfillment channels used by Amazon. The typical Prime Now warehouse stocks 20,000 to 40,000 different items vs. the millions of categories available at Amazon’s online store. The latest generation of Amazon warehouses (which the company calls “fulfillment centers”) have thousands of robots and hundreds, perhaps thousands, of staffers, and often occupy more than a million square feet in the suburbs outside major markets. Prime Now’s “hubs” are much smaller, located in the heart of the city, and have dozens of employees. No robots. There are two hubs in the Seattle area — one in Kirkland and one in downtown Seattle, near Amazon’s new campus. To avoid shopper confusion, Prime Now created its own separate channel, on a smartphone app, which allowed customers to build baskets from that limited selection while tracking their shipment. The software created for the Prime Now deliverers was later expanded into an application for independent contractors interested in making money delivering Amazon packages, an Uber-like program that’s dubbed Amazon Flex. Landry said people participating in the program make between $18 and $25 an hour delivering packages. Recently Amazon launched a Prime Now website, also separate from the main online store, because customers requested it, Landry said. Prime Now currently operates in the U.S., Japan, the U.K., Italy and Germany. It’s a good bet to say that it will expand, although Landry wouldn’t comment on any specifics. “We’re still in the very early days,” she said.